REASONABLY PRICED: Come and enjoy this wonderful, Resort. Home located on Sebago Woods Way... only a minutes walk from the beach, restaurant, tennis courts, shuffleboard, entertainment, miniature golf, arcade, and much more. 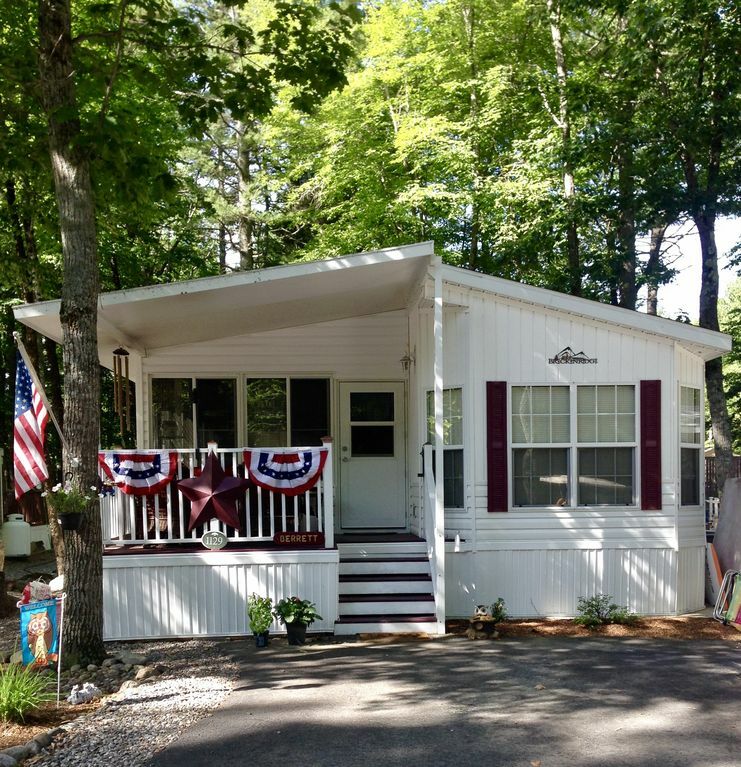 Located within the 775 Acre Family Resort and footsteps from beautiful Sebago Lake! We have a lovely cottage located only a minutes walk from the beautiful sandy beaches of Sebago Lake. Children will enjoy making new friendships that will last a lifetime while parents are free to enjoy their vacation... enjoying the beach, golf, tennis, or sunbathing on the beach while the kids are having TONS OF FUN! We had a great time! The ONLY thing that would have made it any better would have been a washer and dryer but we survived just fine using the machines onsite in the resort area! Very clean, accomodating, well equipped! I loved it, my family loved it we will be returning next year!! Super convenient house to the beach. The house was nice. Bedrooms were a bit close quarters, but the house overall was just what we needed. Backyard was really nice, but could've used a few more chairs. Overall it was a nice stay and would definitely return.